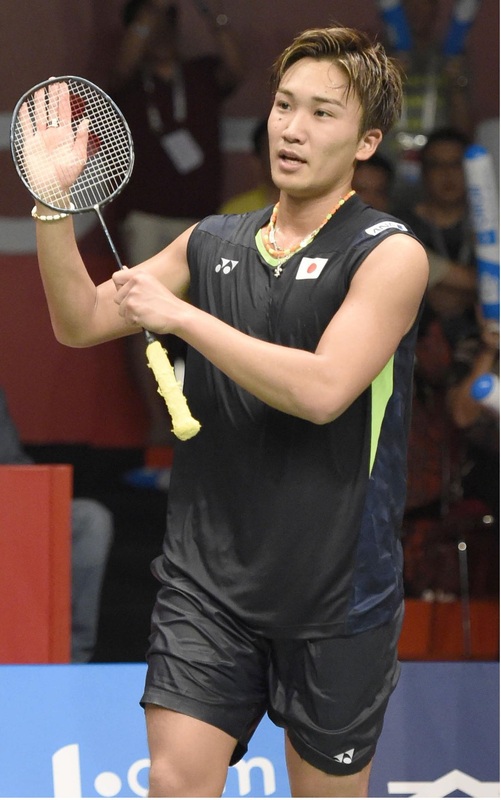 JAKARTA - Kento Momota will take home a bronze medal, the first hardware ever for a Japanese man in Badminton World Championships singles competition following his semifinal defeat on Saturday. Momota, ranked fourth in the world, lost 21-9, 21-15 to reigning world No. 1, Chen Long of China. Japan also earned bronze in women’s doubles, when Naoko Fukuman and Kurumi Yonao fell to Denmark’s Kamilla Rytter Juhl and Christinna Pedersen 21-12, 21-15.